All of us know that plants are great for freshening up the air with their life-giving oxygen and even acting like an air filter for your home. 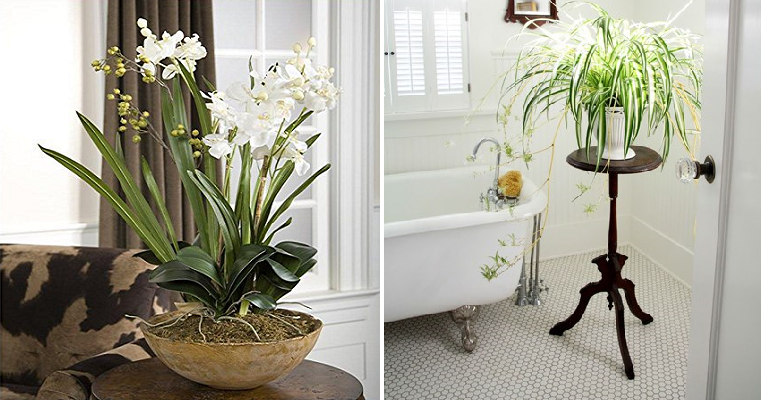 If you don’t know what types of plants to put, we’ve got your back! Some people prefer to use an air purifier instead. This can fulfill the same purpose, but often its difficult to know which is best and which is the most suitable. Fortunately, review sites are able to provide us with more information before investing money in one. Read review at ProductExper.in, if you’re interested in researching this further. But if you would like to also use plants you should read on to find out which kind of plants are suitable. This common plant is a great favourite in many homes thanks to its delicate leaves which made it look aesthetically pleasing. However, it is also an awesome plant that can purify the air of formaldehyde that can be harmful to our lungs. The potted daisy does not only look lovely but you will be glad to know that it works as a really pretty air purifier as well. Its cheerful and bright colours are bound to liven up your home. This plant grows tall, so you might want to allocate a nice space for it to branch out in your home. You don’t even need an air purifier if you have this plant as it is said to help even those who have asthma breathe easier. Bamboo palms work really well in most indoor areas to reduce the harmful effects of car exhaust fumes. It also looks really delicate and intricate if allowed to grow to its full potential. This elegant looking flower is yet another lovely plant that will work wonders in your home to clean the air. Get rid of all those toxins to increase the air quality in your home. The English Ivy grows easily with minimal care which means that you can grow it even if you don’t have green fingers. In addition, this plant acts to reduce the mould levels in your home. Simple yet classic, you may have seen this before in many people’s houses as it doesn’t take up much space. It is also known as Mother-in-Law’s Tongue and is relatively easy to take care. Just remember not to overwater them as the roots can rot in soil that are too moist. You definitely know what a chrysanthemum is as you are bound to have seen these lovely blooms before. They are great air purifiers that can filter out a great amount of toxins in the air. Keep them happy by placing them near the sun as they love the daylight. This plant has been around for decades and has been popular since the Victorian times mainly due to its delicate and tiny leaves. The weeping fig requires a bit of care and needs to be kept in bright, indirect sunlight for optimum growth. Often found in the tropics, this leafy green plant loves humid and low-lit conditions which makes it idea for your bathroom. Otherwise, you must remember to mist the leaves occasionally to keep it looking lush.